The Legacy Motorcycle Ministry has a passion for helping those in need throughout their community. 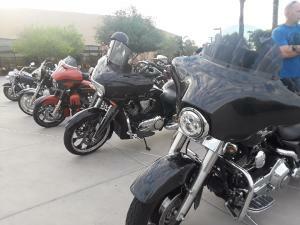 MESA, ARIZONA, UNITED STATES, October 29, 2018 /EINPresswire.com/ -- Paul Ingram of Mesa Arizona is excited to be a part of the Legacy Motorcycle Ministry. This group is comprised of a group of men who work diligently to provide care to those in need. Plus, the Legacy Motorcycle Ministry is renowned throughout the state for all they do for the community. Therefore, it is a source of pride for Ingram and the other members. Paul Ingram of Arizona is thrilled to turn a hobby into an avenue to help his neighbors. Paul Ingram has always had a passion for riding his motorcycle. Thus, through the Legacy Motorcycle Ministry, Paul Ingram of Arizona has also found a personal satisfaction. In addition to helping the community, Paul Ingram loves the comradery found within the motorcycling community and the freedom found on the bike. The Legacy Motorcycle Ministry takes a monthly, breakfast ride for charity. 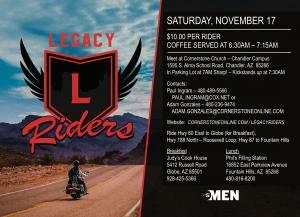 The group of men that participate in this ride are a part of the Cornerstone Church in Chandler, Arizona. 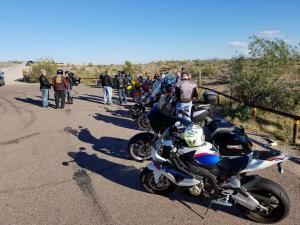 Each month, the guys take a breakfast ride for charity that takes them all over Arizona. All riders are welcome and at a $10 donation, it is the perfect way to enjoy a hobby and help those in need. Riders meet in the Cornerstone Church parking lot. Coffee is served between 6:30-7: 15 am. Then, at 7:30 am, exactly, motors are revving, and the caravan is on its way. This is a great avenue to meet people who enjoy a common hobby and of course, it is charitable. Plus, there is the bonus of exploring the beautiful and vast state of Arizona. Each trip is a little different and even though the journey is only one day, the memories last a lifetime. Additionally, the Legacy Motorcycle Ministry is not only an organization for church members. This ministry welcomes anyone who would like to do good for their neighbors, make some friends and explore their state. The next ride is on November 17th. During this ride, the ministry visiting Judy’s Cook House in Globe, Arizona. Therefore, riders should bring their appetites. 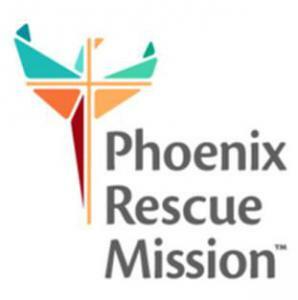 The proceeds from the Legacy Motorcycle Ministry’s monthly ride help the Phoenix Rescue Mission. A Christ-centered organization, the mission dedicates their time and resources to help many different people. The Phoenix Rescue Mission helps everyone from those escaping domestic abuse, to recovering addicts. Whether people are homeless, or simply down on their luck, the Phoenix Rescue Mission helps get people their life back. This organization is a staple nonprofit in Arizona and the Legacy Motorcycle Ministry Group is glad to help them succeed. In summation, the Legacy Motorcycle Ministry is an outlet for personal and communal connection. Paul Ingram of Arizona has helped to build this wonderful family found throughout the Legacy Motorcycle Ministry. Paul Ingram of Mesa Arizona has helped it grow and prosper into the charitable, honorable monthly event it is today. Therefore, Paul Ingram could not be more honored to be a part of the entity the Legacy Motorcycle Ministry has become. 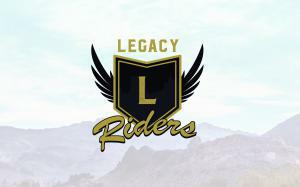 For more information about the Legacy Motorcycle Ministry, or to support their cause, visit their website.